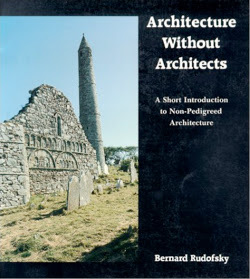 A recent reference on Treehugger pointed me to Bernard Rudolfsky's 1964 book Architecture without Architects led me to direct this line of inquiry to the landscape profession. Rudolfsky reconnected building with the stability of traditional, 'non-pedigreed', design (quoted via Treehugger): "...vernacular architecture does not go through fashion cycles. It is nearly immutable, indeed, unimprovable, since it serves its purpose to perfection." There has definitely been a long history of writings on traditional habitation in the architectural sense. There is also a good deal of scholarship associated with the indigenous and non-designed landscapes throughout history. This encompasses historical landscape interventions, but also our more recent cultural leanings towards shaping our spaces. I could go on for volumes - but it's better to read for oneself, and I would encourage looking at all of the writings, which are still fresha and relevant. The concept of Landscape Two consists of our cultural need for 'objects' still gets in the way of our creation of 'places'. While the two are not mutually exclusive, they rarely come together as planned by the designer. This work investigates, amongst other things (via Amazon): "...time and movement rather than place and permanence, Jackson examines the new vernacular landscape of trailers, parking lots, roads, and shopping malls, and traces the development of dwellings in New Mexico from prehistoric pueblo villages to mobile homes." 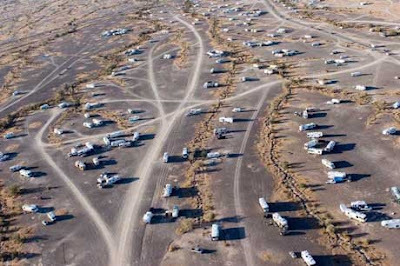 It reminds me of newer investigations into cultural ephemera, such as the fantastic essays in 'Blue Monday', specifically the site:nonsite:quartzsite project and the annual migration and inhabitation of the City of Quartzite, Arizona during the Gem Festival. 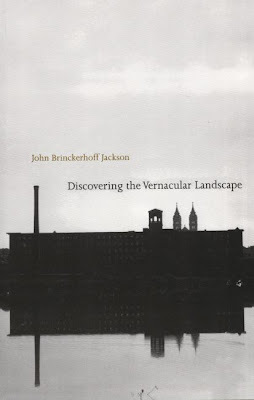 Somehow I feel as if AUDC's founders Varnelis and Sumrell have taken Jackson's spirit of the vernacular in action - and reinvigorated it to a new crowd of landscape theorists and designers. One of my favorite quotes is via geographer Pierce Lewis (in Groth & Bresi, p.4-5): "...'If we want to understand ourselves, we would do well to take a searching look at landscapes.' The human landscape is an appropriate source of self-knowledge, according to Lewis, because it is '...our unwitting autobiography, reflecting our tastes, our values, our aspirations, even our fears.'" This is further expanded to design and personal taste in the work of one of my heroes, Joan Nassauer, and the work on the aesthetics of ecological design, most notably the work in Placing Nature: Culture and Landscape Ecology, and the perhaps even more influential essay from Landscape Journal: "Messy Ecosystems, Orderly Frames," which posits that ordinary views and attitudes towards landscapes have strong impacts on the success and failure of ecological design - and that there must be knowledge and application of these ideas by designers in order to meet people's aesthetic expectations. The recent Walker Art Center show of the New Suburban Landscape reinforced these ideas as well - tying our cultural baggage to the ways in which we continue to degrade ourselves and the land. Returning to Jackson for a second, a quote via Wikipedia reinforces this thought process: "The older I grow and the longer I look at landscapes and seek to understand them, the more convinced I am that their beauty is not simply an aspect but their very essence and that that beauty derives from the human presence." 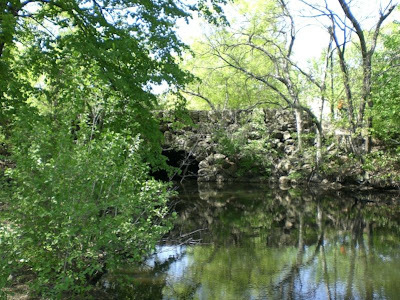 "In the early 1980s, the National Park Service identified four types of historic landscapes: sites, vernacular landscapes, ethnographic landscapes, and designed landscapes. For the purposes of cultural resources survey identification, landscapes can now be divided more simply into two basic types: designed (consciously created to reflect a design theory or aesthetic style) or vernacular (developed or evolved through function or use), by answering the question of why a landscape looks as it does. Sites and ethnographic landscapes can be identified as a subset of either a vernacular or a designed landscape." This differentiation of designed and vernacular is the crux of any conversation on the issue. The issue with landscape versus architecture is that it is much more difficult to discern the style and substance in landscape, as it is caught in the paradox of using the same materials in which it is referencing. A building is taking materials (both natural and man-made) and applying them in formalistic ways. Landscape is more subtle, with varying degrees of legibility and comprehension (or even base understanding that things landscape don't necessarily mean 'nature'). The other side of the vernacular that differs somewhat from architecture, is the relative safety of 'gardening' and 'landscape' - and the fact that most people feel comfortable tackling these outdoor design and construction - with varying results (i.e. the good, bad, and ugly). Few would stretch to build a house without an expert, whether that is an architect or more likely a builder. How many of these people don't hesitate to manipulate the earth and ecology without expertise or even a horticulturist? A world of landscape without landscape architects may be a true touchstone to the way we think and live. It will incorporate the ideals and as Lewis states, '...become our unwitting autobiography...", but will lack the true essence of the human condition. To create and build with conscience, knowledge, and poetry - and to translate the wishes of humanity into places that provide joy, healing, and beauty for all species. That makes it a viable and truly innovative endeavor.